Take a look at M Audio’s DSM3 | DJ School Lebanon - Being Pro Is What You Need ! Constantly on the look out for a powerful, project studio monitoring set-up. 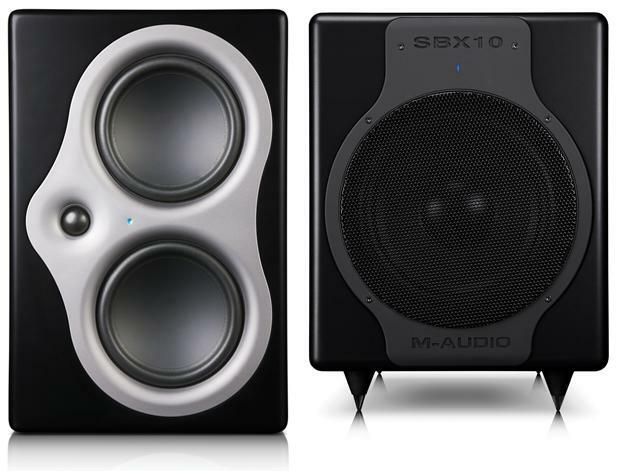 Thought it would take a look at M Audio’s DSM3 monitors married up with the SBX10 subwoofer to see if this combo could provide serious earth-moving sounds for producers dabbling in electronic dance music who need big room sound, but in a space-conscious environment. I remember the day when I first walked into a professional studio and experienced the wall of sound that was the main monitoring system, huge 15-inch sub woofers that would pound the living daylights out of my ears. This was serious sound — only found in the super studios — that many a producer would be envious of. Nowadays, studios like this are in the domain of the uber professional and cost big bucks to hire day to day — not really that practical for the majority of dance producers. A lot of killer tunes have been created in bedrooms or project studios and space is at a premium. Studios and producers still need to find big room sound from their monitors, but at a fraction of the cost and space. What we are going to look at is how to create this big room sound at a fraction of the cost and with out the need for lots of space. The speakers we are going to use to demonstrate this are M Audio’s DSM3 High Resolution monitors and their SBX10 Subwoofer, but any combination of studio speaker and woofer can work.